I was contacted last week by Mallzee and asked if I wanted to know more about them and blog about their website. I had a read through the information I was sent and signed up to their website straight away because it sounded great! Just a little disclaimer, this post is not sponsored, I did not have to write it, I was just asked if I wanted to and I did. Everything I write is my own opinion! First up, some information! 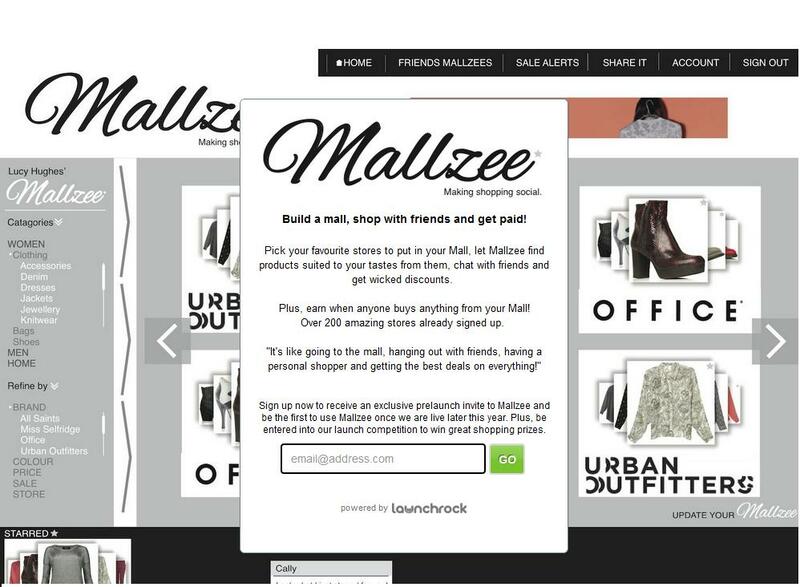 Mallzee is a online shopping site and they have over 200 brands such as Feel Unique, New Look, St Tropez and Urban Outfitters. Basically, you chose your favourite brands to add to your mall and Mallzee shows you products matching your personal style and likes. Do you want to know the best part? The reason I think they are fab and what makes them so different is that Mallzee is very social. You can invite your friends to visit your Mallzee where you can all discuss products and star your favourite items. You can create polls to gather friends opinions before you buy products as well which is great! Mallzee also provide discounts if you purchase products through the mall. If friends purchase items through your mall then you get paid! I think this website will be so fun to use! It is a different view on shopping by allowing people to discuss opinions and experience with different products. I think it's great that you can create polls and your friends can star their favourite items before you go purchasing them! Mallzee launch later this year but you can sign up now and be entered in a competition! I really enjoyed finding out all about Mallzee and I think it will be a fun website to use! Let me know what you think?! This is not a sponsored post. I was emailed with some information and I thought it sounded fun so I chose to write about it.